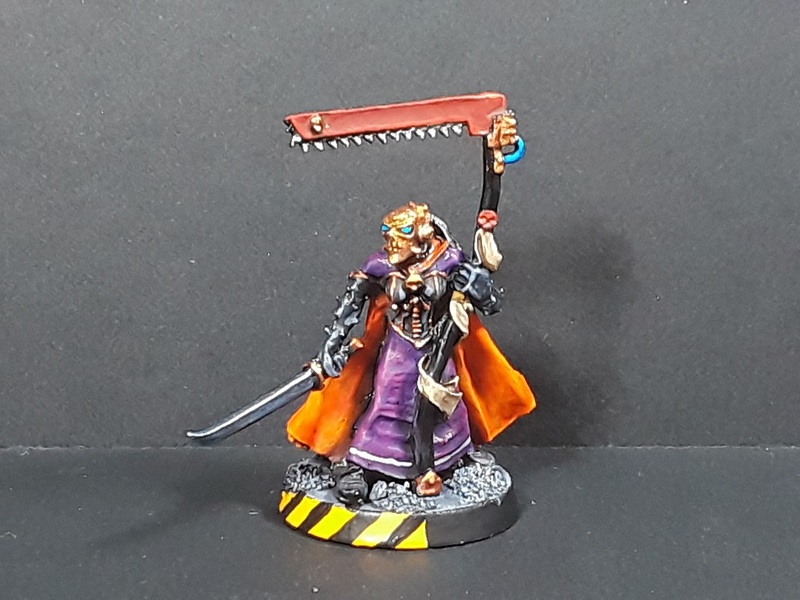 Mordian 7th Regiment: Necromunda - Klovis the Redeemer, Deacon Malakev, and Spyre Hunters complete! 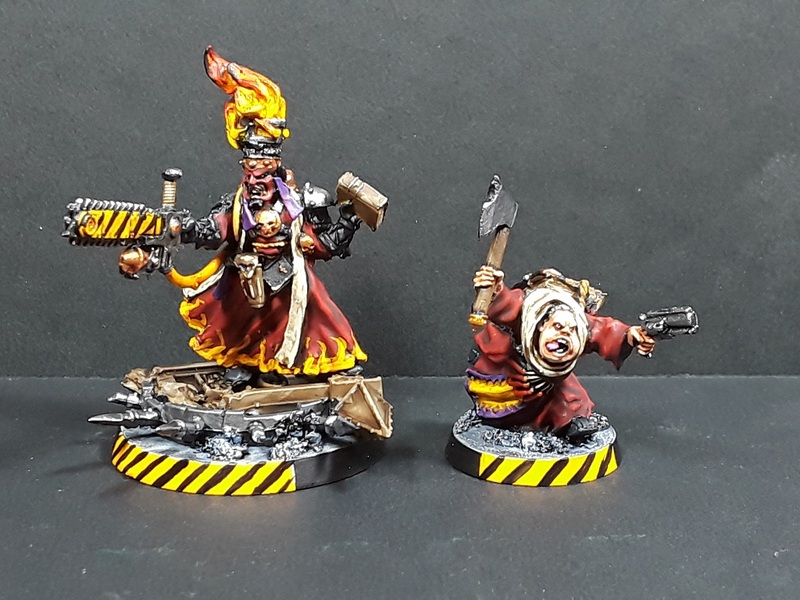 Necromunda - Klovis the Redeemer, Deacon Malakev, and Spyre Hunters complete! 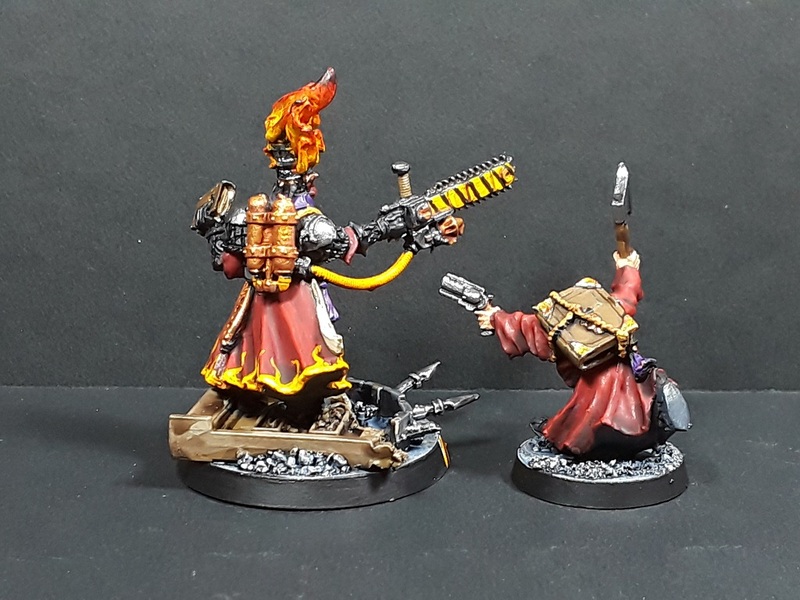 I've been in 'small project' mode and have been going through the un-/partially-painted shelves looking for fun stuff to knock out, and today it's a couple blasts from the past - Leading off with Klovis the Redeemer and Deacon Malakev! These two have been sitting on the shelf for nearly twenty years and with the release of the new Necromunda it's high time they got their time in the sun. Tried to stick with the classic paint scheme for him, and I'm really looking forward to seeing when/whether they get to the Redemptionists! 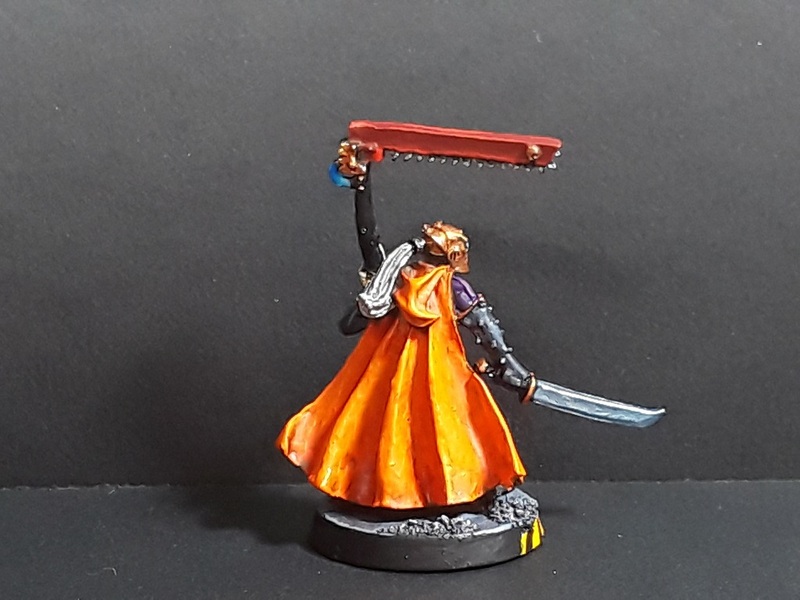 Last but not least I thought I'd try and modernize some of my old models - Led off with my old Spyre Hunter team. I didn't want to give them a full "dip and strip" as I sort of like having the history. I did clean them up a little though, some washes and touch-ups for the most part. Again, hoping that we'll see GW doing the equivalent of the Outlanders supplement in the future! For the stripes you could use small strips of tape over the yellow to achieve a neater result. Indeed - Looking forward to seeing how/if they do his rules in the future! ah the nostalgia is nice! Indeed - Been riding the wayback machine! Very nice. Loving the redemptor model, been on my wish list for years. Hoping they make a version for the new one I can get my hands on. Thanks! He and Malakev are great models. 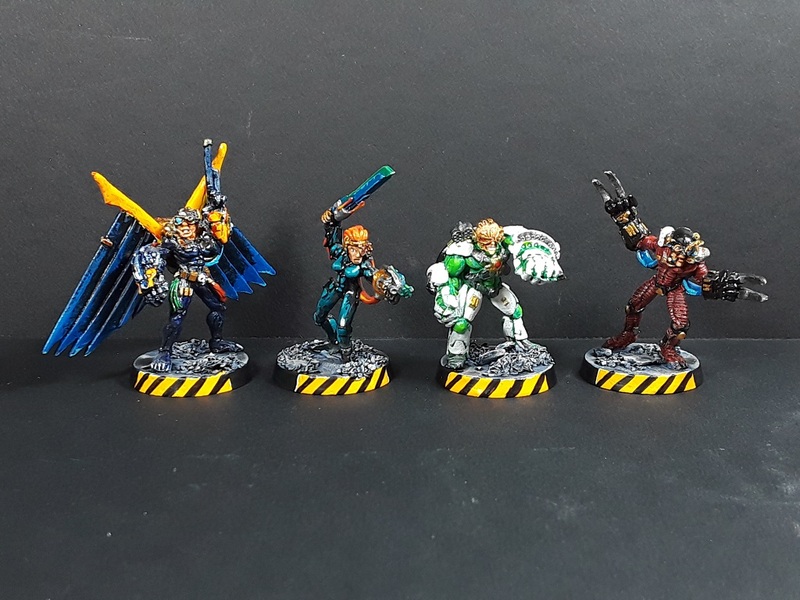 The Matriarch and Patriarch were right towards the very end of Necromunda in the third wave. I don't think I've ever even seen a patriarch in person, and they go for $80-100 on ebay, so I might not, either! That Matriarch fetches quite a price if you can find it. Lovely minis mate. One criticism, the hazards could do with a redo. They dont seem up to your usual standard. Aye - The ones on Klovis' base in particular needs a redo now that I'm looking at 'em. I picked up some new painter's tape over the weekend and will have a go! OMG The Spyrer Matriarch! I love that model! The others are great as well, of course, but the old bat with the chain-scythe is AMAZING!